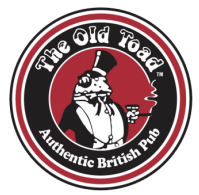 The Old Toad is a British style Pub and Restaurant that recruits students from England each summer for a year long paid internship. The staff rotate each year as new crews come out to learn how to run a small business. They work alongside American staff in every aspect of The Old Toad including serving, bar tending and kitchen. As well as these roles, they get the opportunity to apply for managerial positions to further enhance their development of how a small business runs. Other interesting stuff: When I was younger read the book "On The Road: Then bought a bus ticket to California before cell phones.